A dog has been given a £1,000 facelift. 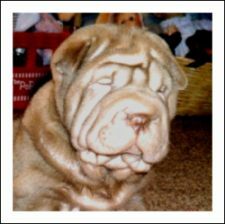 Shankly the shar-pei – similar to a bulldog – had the wrinkles over his eyes removed when it became difficult for him to see. Shankly was brought into Battersea Dogs and Cats Home after being picked up wandering the streets, reports the Daily Mail. In an hour-long operation, head vet Shaun Opperman removed a large swathe of skin from across his forehead and between his eyes.